Charlie Bennetti... great times at Floriana. The early post-war period produced one of the most popular footballing families in the history of our game – the Bennetti brothers Willie, Joe and Charlie. The first to hit the scene was Willie. Tall and lanky, he soon caught the eye with his ball-juggling and mastery midfield play. Joe was next to hit the headlines. Like Willie, he played in midfield but his style differed from that of his elder brother. What he lacked in skills, however, he made up with his non-stop running. The youngest of the trio was Charlie. Affectionately known as In-Najsu, Charlie was a prominent member of the famous Ajax team. He started to play football as a 14-year-old but despite his tender age his potential was apparent from the start. Frankie Tabone, the mentor of the Ajax, was so impressed by Charlie’s ball control and distribution that he marked him out as one for the future... and he was proved correct. Charlie’s accurate passing had all the markings of greatness about them. He possessed a deadly left-foot shot which was remarkable coming from a player whose slight build belied his shooting power. Like his elder brothers, Charlie took part in several representative matches at all levels of the game. Born in Floriana on February 22, 1930, he learned his football at the St Francis Barrack Square during the blitz. In 1946-47, he played for Floriana’s second string with whom he won a Second Division championship medal. Charlie so impressed that the following season he was given an opportunity to show his prowess with the senior side. That campaign he played eight league games for Floriana and scored four goals. It seemed that his future was secure with Floriana but to the dismay of the Greens’ supporters in the summer of 1948 he signed for rivals Valletta. Charlie stayed at Valletta for three years but he never really settled down in the side and during his stay in the capital he only played 18 league matches in which he scored eight goals. In 1951, Floriana paid a fee of £80 for Charlie Bennetti’s transfer. In those days this was a sum worthy of a fine player. This was the start of the best patch in his career. 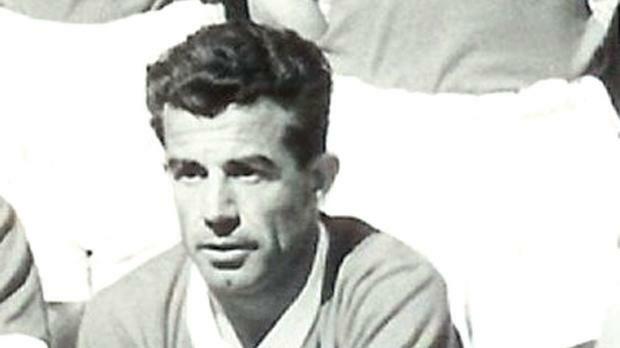 Between 1951 and 1957, Bennetti junior won three championships, two Cassar Cup medals and an FA Trophy medal for Floriana. He played 71 competitive matches in a Green shirt and scored 23 goals. He also represented the MFA XI four times against visiting foreign teams and was a member of the Youths XI that took part in the Palermo Youth Tournament in 1949. In 1957-58, Bennetti lost the entire season through injury and other personal commitments but in 1958-59 he was back in the First Division with Rabat. He played for the Magpies for three seasons before returning to Floriana in 1961. Although late in his career, the 1961-63 period was a profitable time for Bennetti. Before retiring in 1963, he won his fourth championship and a Scicluna Cup medal. He also added an international cap for Malta on July 3, 1962 in the friendly game against Norway.